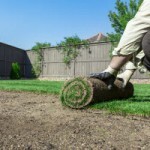 Is Stump Removal Service Necessary Before Installing Sod? Is Clearing A Piece of Property Something a Tree Service Company Will Do? Hello, I am José Henriquez, owner of Su-Tree Service, Inc., a family-owned and operated full-service tree care business. Please call or text 404-392-6935 to receive prompt affordable service from our experienced, reliable and dedicated crew. Sitemap | Powered by PersistSEO, LLC.